While most Rolex watches run on automatic movements and therefore continue to work as long as you keep it on your wrist, they do run out of power if left motionless for a few days. But it’s easy to get it going again. Discover how to wind your Rolex watch and how to set the correct time and date by reading this handy how-to guide. Find how to wind your watch and more. 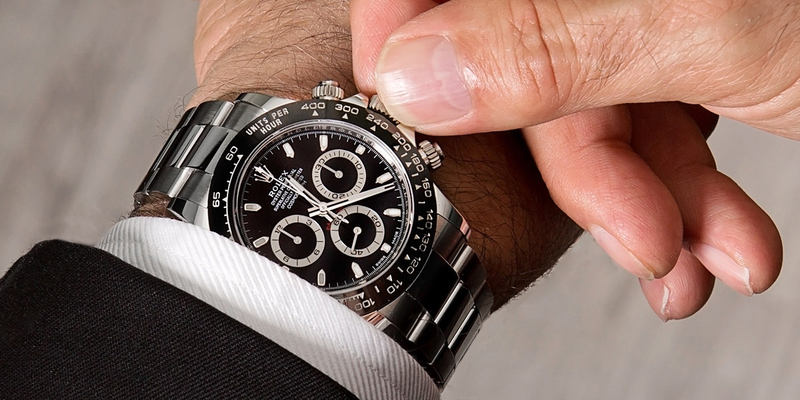 If the power reserve on your Rolex has run out, you can manually wind the watch to get it ticking again. 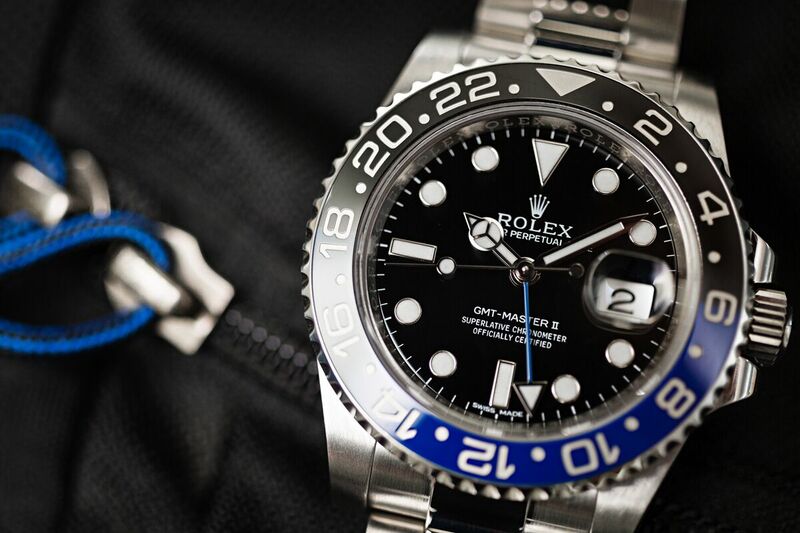 Depending on the model, the power reserve on a Rolex watch can range from about 40 hours to about 72 hours. 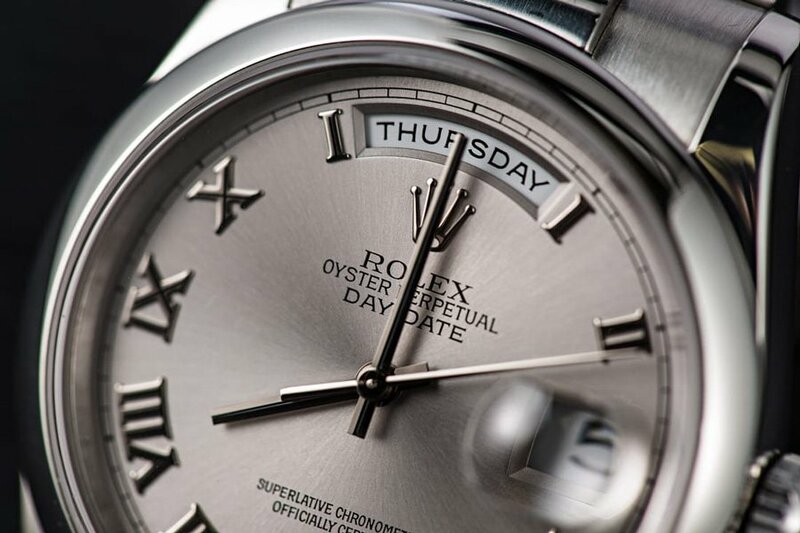 Note that most of Rolex watches have a screw-down winding crown to ensure the Oyster case’s water-resistance. Unscrew the screw-down winding crown by turning it counterclockwise until it releases to position 1. Turn the unscrewed winding crown clockwise 30 to 40 times to manually wind your Rolex and jumpstart the movement. Always remember to screw the winding crown back into the case to position 0 to maintain your watch’s water-resistance. With the movement wound, your Rolex watch should be running again. If you want your watch to continue running even while you’re not wearing it for extending periods of time, it may be worth looking into buying a watch winder. If your Rolex watch was left motionless for a while and you’ve now manually-wound it to get it going again, chances are that you’ll need to adjust the time and date too. 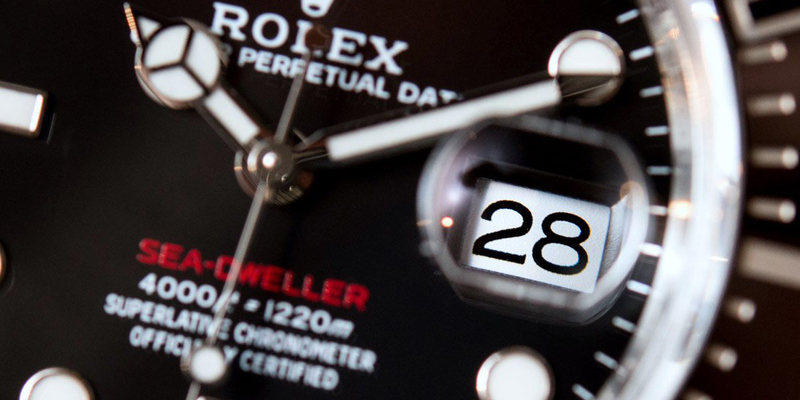 How to properly set the time and date on your Rolex depends on the type of model it is. It’s always best to set the time and date on your Rolex after you’ve manually wound it first. 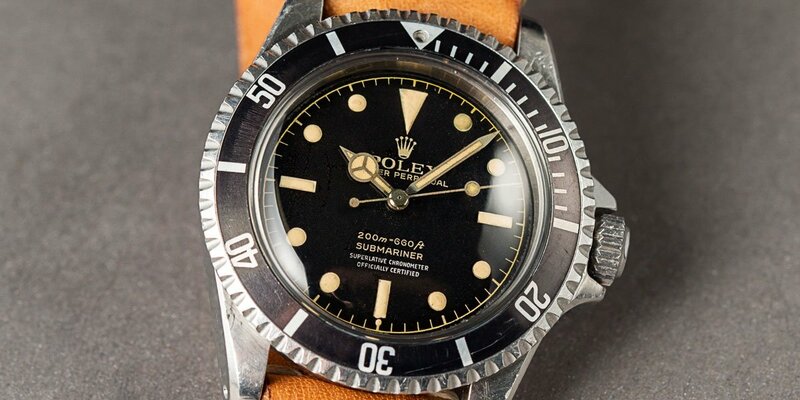 Here is a vintage submariner without a date. Gently pull the unscrewed winding crown all the way out to position 2. Turn the winding crown (in either direction) to move the hands until you get to the correct time. If you want to change the date, follow the instructions below. Push the winding crown to position 2 to set the date. Turn the winding crown clockwise (counterclockwise for Lady-Datejust) to change the date. Push the unscrewed winding crown to position 3 to set the time. The Day-Date contains three adjustable components, see how to adjust all three here. Gently pull the unscrewed winding crown all the way out to position 3 to set the time. Push the winding crown to position 2 to set the date and day. Turn the winding crown clockwise to change the date and counterclockwise to change the day. Gently pull the unscrewed winding crown all the way out to position 3 to set the minutes and 2nd time zone. Turn the winding crown to move the minute hand and 24-hour hand until you get to the correct time in the 2nd time zone (where the arrow tip is pointing to the appropriate hour on the bezel). Push the winding crown to position 2 to set the local hour hand and date. Turn the winding crown to change the local hour hand, which also changes the date with every turn after midnight.